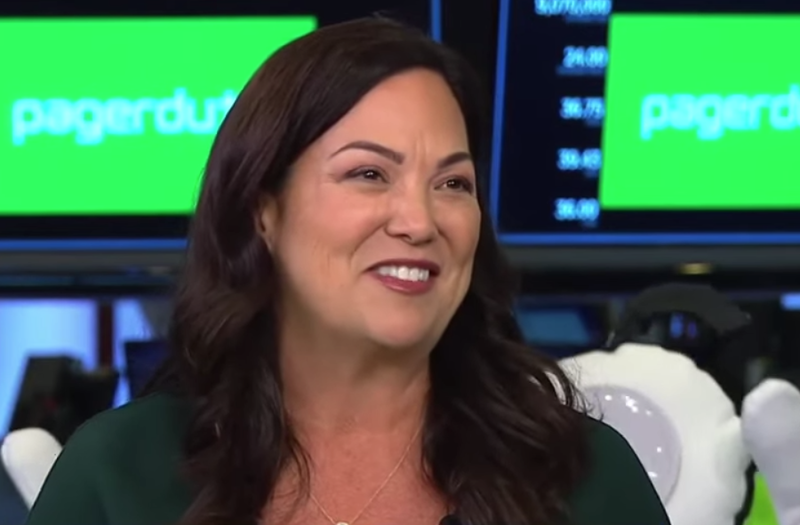 PagerDuty began trading on the New York Stock Exchange for the first time this morning and is now trading at more than 60% above their IPO price of $24. That gives the company a market capitalization of more than $2.7 billion. PagerDuty offers a SAAS platform that monitors IT performance. The company had sales of $118 million for its last fiscal year, up close to 50% over the previous year. If you think about the world today, it’s an always-on world. We as consumers expect every experience to be perfect. Every time you wake up in the morning, you order your coffee online, you check Slack to communicate with your team, and maybe you take a Lyft into work. Sitting behind all of that is a lot of complexity, many digital and infrastructure based platforms, that don’t always work together the way you’d expect them to. As that complexity has proliferated over the years and because developers can deploy what they like and can use the tools that they want it’s gotten harder for human beings to really manage the entire ecosystem even as your demands increase. You want it perfect, you want it right now and you want it the way you’d like it to be. PagerDuty is the platform that brings the right problem to the right person at the right time. We use machine learning, sitting on ten years of data, data on humans behavior and data on all these signals there that are happening through the system, and it really helps the developers that sit behind these great experiences to deliver the right experience all the time. Going public is the right time for us right now because there’s an opportunity for us to deliver the power of our platform to users all over the world. We are a small company and we weren’t as well-known as we could be and this is a great opportunity to extend our brand and help developers and employees across teams and IT security and customer support to deliver better experiences for their end customers all the time. At PagerDuty we take customer trust and user trust very seriously. We publish our data policy and we will not use data in a way other than what we describe online. We care deeply about the relationship between our users in our platform. Our belief is that machine learning and data should be used in the service of making people better, helping people do their jobs more effectively, and delivering those great brand experiences every time. PagerDuty is really about making sure that our users understand that this could be a good thing, being woken up in the middle of the night if it’s for the right problem. It’s a way that can help you deliver a much better experience for your customers.